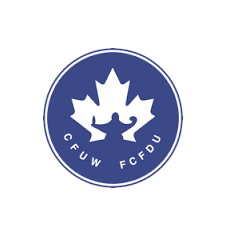 Formed in 1978, CFUW Ontario Council is a voluntary, self-funded, non-profit organization governed by a 13 member Executive Board. It is affiliated with the Canadian Federation of University Women (CFUW) and the International Federation of University Women (IFUW). Its members seek to improve public policy in education, status of women and girls, environment, human rights, peace and justice. An active participation in public affairs in a spirit of cooperation and friendship. To promote cooperation and facilitate communication of information and ideas among CFUW Clubs in Ontario. To promote the policies and programmes of CFUW. To encourage and initiate studies with respect to matters of a provincial nature. To make representation to the appropriate provincial authorities consistent with Ontario Council policy. To promote an understanding of provincial and national issues and their implications through dialogue among member Clubs.